Castrol is working hard to reinvent the oil change, which frankly sounds about as easy as reinventing the wheel. After a couple of years of developing what they are calling Nexcel, they have done something special. 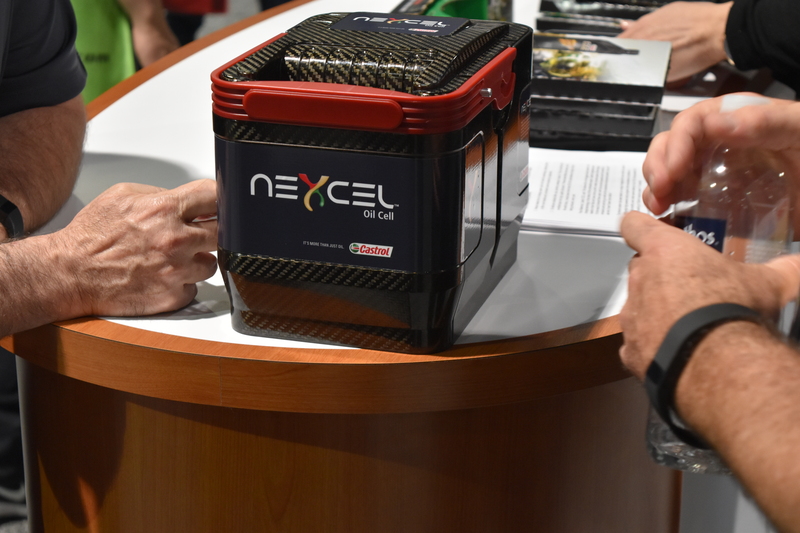 The Nexcel unit itself holds oil and the filter all in one container and simply fits into a base within the car’s engine bay. Once the recommended oil change interval is reached the Nexcel unit can be changed out in 90 seconds by simply lifting the unit out and replacing it with another one. The unit is sent back to be reconditioned for reuse and can be reconditioned 5 or 6 times before its service life is over. 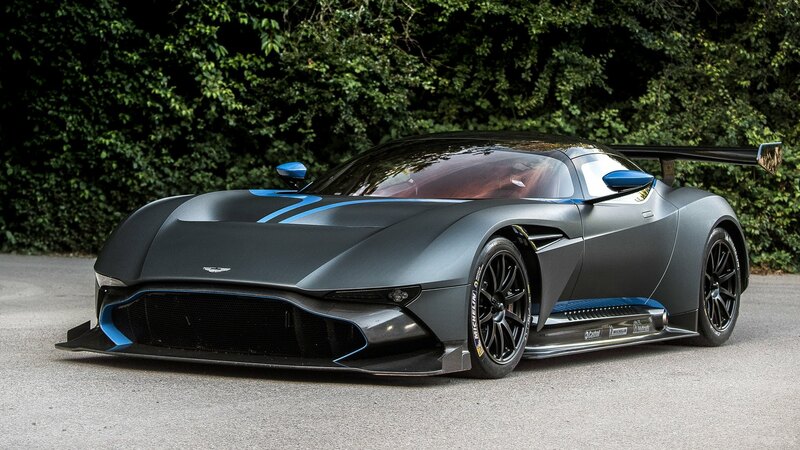 We first found about this new product from an article on Autoblog.com and it peaked our interest that the Aston Martin Vulcan was going to be the first car to implement Nexcel. While the Vulcan is a track only car, Castrol UK worked closely with Aston Martin to develop Nexcel and test it in the real world, retrofitting Aston Martin’s cars with Nexcel and have been testing in England for the last couple of years. After talking to a representative from Castrol at SEMA we found out that other manufacturers are very interested, one being Ford as they get the street version the GT ready for 2017. There are also a couple of companies with fleets of long service life heavy duty trucks looking to retrofit this technology for their use as it would pay off over the life of the truck as they are in service for hundreds of thousands of miles. Print article This entry was posted by Josh Karsten on November 10, 2015 at 4:07 pm, and is filed under Blog. Follow any responses to this post through RSS 2.0. You can leave a response or trackback from your own site.